Notes: Train from Hornell to Corning. Fenmer's (???) ford (?) to Ithaca. ; Brough Lynch + Leany to Corning. Fixed them up. Embanned (???) Veronica at Pine St. Came back on train. Notes: Good luck going. Met my brothers at Alfred. Chased by cop and tore my pants, had a fight, almost stole a dog, went to dance at Armory. Enjoyable day. 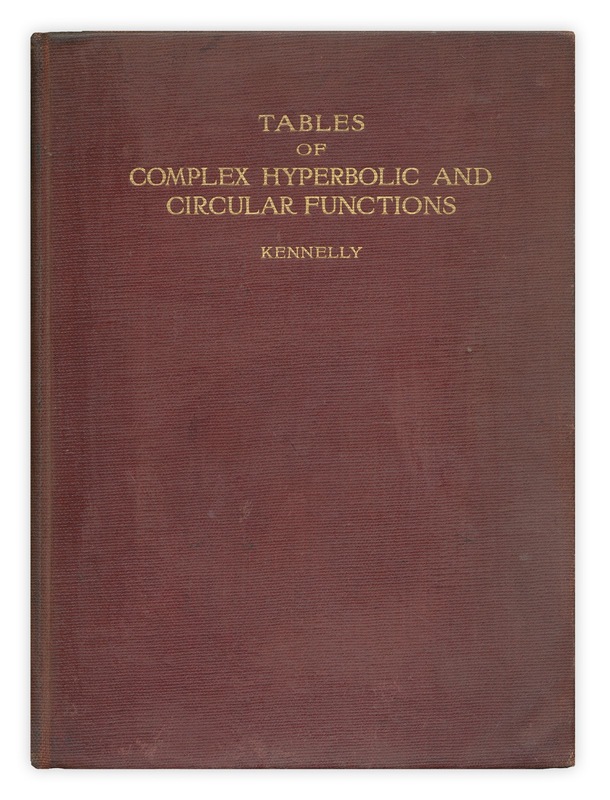 Found in "Tables of Complex Hyperbolic and Circular Functions" by A.E. Kennelly. Published by Harvard University Press, 1914. That's a really good one, very funny. I laughed at the account of his enjoyable day. Some things never change! I would have liked to have been there to see either of these events! I think he embarrassed Veronica...maybe. Laurie: Yes - it must be shorthand for "embarrassed Veronica". Seems likely given his other high-jinks. 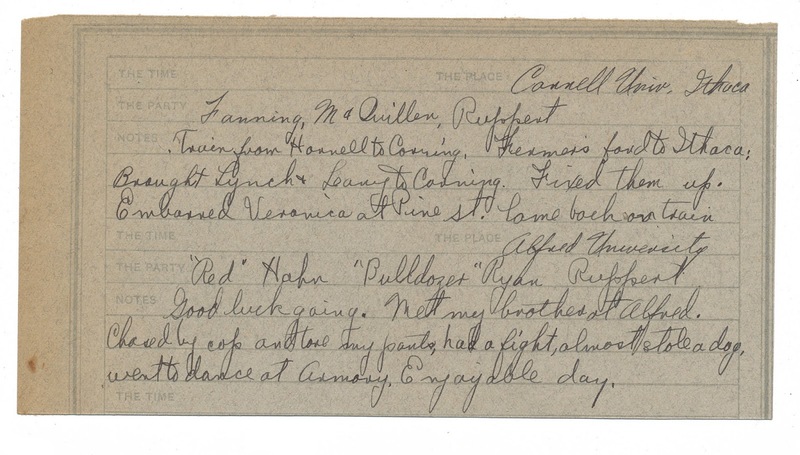 Well I will say his day at Alfred University sounds like an enjoyable day, indeed! Loved this!